Installing dnscrypt-proxy v1.9.5 at Ubuntu 17.10 is not as easy as before anymore. You don't get automatic settings out-of-the-box, but, you must do a little manual configurations. This is difficult for new comers unless you have a step-by-step guide to do those all. Don't worry! This article explains 6 steps for beginners to install & configure dnscrypt-proxy with pictures. You also get a shell script at the end of this tutorial so you can later repeat the steps quickly. Enjoy! REMEMBER: do any of these tutorial at your own risk. and disable the system default's DNS resolver. Why 127.0.0.1? Because (in simplest sense) all applications will ask the DNS resolver at 127.0.0.1. 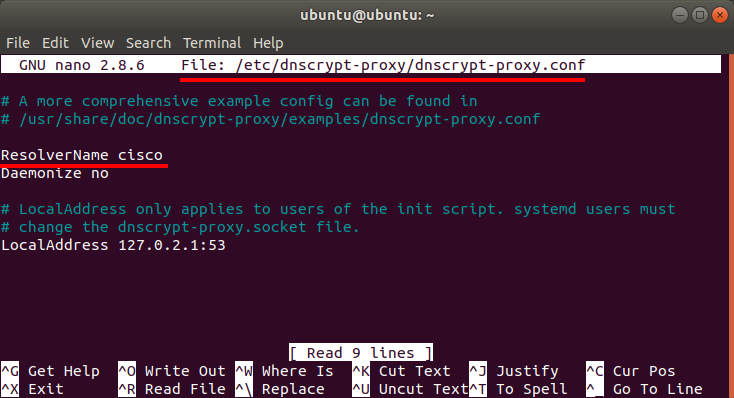 The final result is DNSCrypt Proxy lives as default DNS resolver in your Ubuntu system (e.g. it starts every boot time). Second step is changing the default DNS resolver into 'cisco'. This is so you can see the test correctly showing message "dnscrypt enabled". The sixth step above is the final configuration. 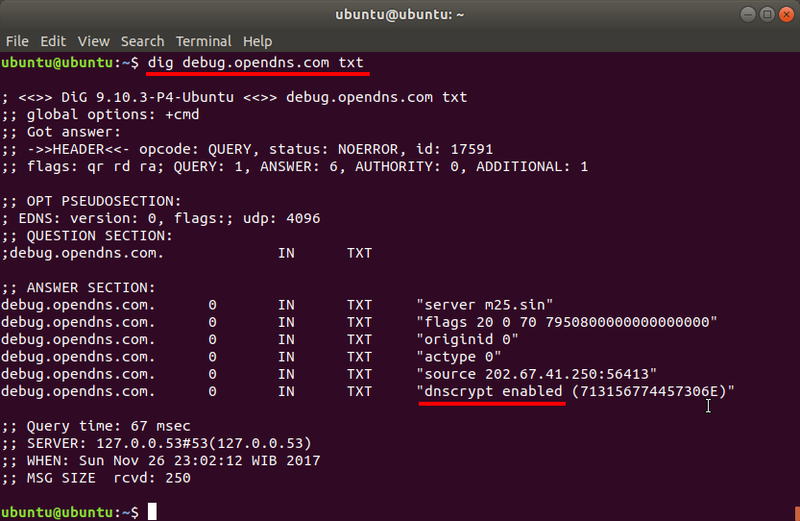 Now, you should test (online) that dnscrypt-proxy working properly in your Ubuntu system. Basically, you just need 'dig' command below, but more commands I added to make test clearer. That command should says "dnscrypt enabled". That command should says same thing as dig command. 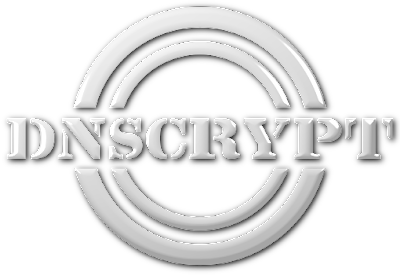 That command should informs you dnscrypt exists and lives at 127.0.0.1:53.